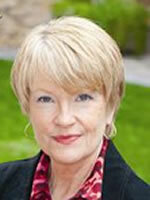 Gwen Farrell is an Experiencer Therapist in Phoenix, Arizona. After practicing general hypnotherapy in Phoenix, she became involved in the field of UFOlogy and realized the need for qualified therapists to assist UFO contactees/abductees, and in 2007 she pursued advanced training and began specializing in the field of Experiencer Therapy. As part of that work, she facilitates an Experiencer support group in Phoenix and has co-facilitated support groups at the International UFO Congress. She is a member and referred therapist of ACCET, FREE and OPUS, for which she has written articles and consulted. In addition, Gwen is a member of MUFON and an ex-certified field investigator, and she does CE5 research and intuitive counseling. She is also a life-long Experiencer and she writes a blog at www.etcontact-healing.blogspot.com. Gwen Farrell is a member of the board of editors of JAR Magazine.